​Due to new HIPAA requirements all patient forms must be complete each year (even if there is no change from previous year). If we are to file any insurance vision/medical ALL insurance information must be complete. Please read and sign the form found above "HIPAA Privacy" and bring to your appointment. 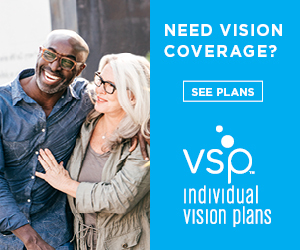 ​For questions regarding Vision/Medical insurance please review this form. **This appointment time has been reserved especially for you. As a courtesy to other patients that would like to see us, kindly let us know at least 24 hours in advance so we can make the slot available to someone else. Failure to do so may result in a $25 cancellation fee and restrictions on future appointments. ** In addition to bringing your paperwork to you appointment, please bring the following as well: Vision insurance card (if they've issued one), medical insurance card and photo ID.